Damascus is the Capital of Syria. Many different civilizations have left traces in this ancient city. The Ommeyad Mosque, the largest in the world, famous for its golden mosaics and the head of John the Baptist it contains. The Azem Palace is one of the most charming and luxurious residences in the Orient. 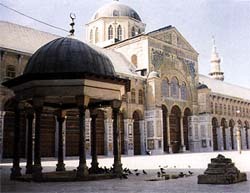 The old souks, Saladin’s Tomb and the National Museum are a must for anyone who visits Damascus. 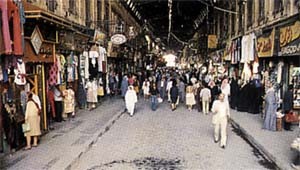 Christians History finds its beginnings in Damascus. Saul of Tarsus (St. Paul) found the revelation on his way to Damascus, while going to arrest the Christians. He met St. Ananias there and preached the word of Christ with him. Damascus benefits from great possibilities when it comes to congress centers and communication equipment, which makes it an excellent place for conventions and congresses. 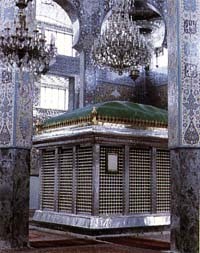 Bel’s and Baalshamin’s Temples, the subterranean tombs, etc. Convent. With possible lunch in the magnificent site of Crac des Chevaliers. around a pool to formal galas.